Welcome to Isaiah's college of hidden places. 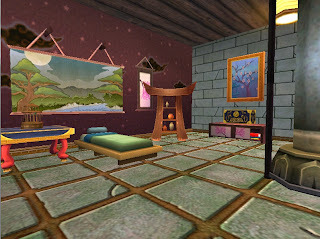 I traveled all over Isaiah's house and found very interesting features he created. I got to swim in a pool and travel to the top of the world and look down on the land. look at all those treetops. Isaiah had different areas set up too. This one place really caught my eye :) He called it the teachers lounge. This place was entertaining and I had to stop for a bit to look at all the detail. A fountain was built up with stones and he even had a lightning tree. When we traveled inside we had class rooms, the food court and the dormitories. Thank you so much Isaiah for letting me visit your wonderful college of hidden places, simply unique. Until next time. Happy housing decorating. 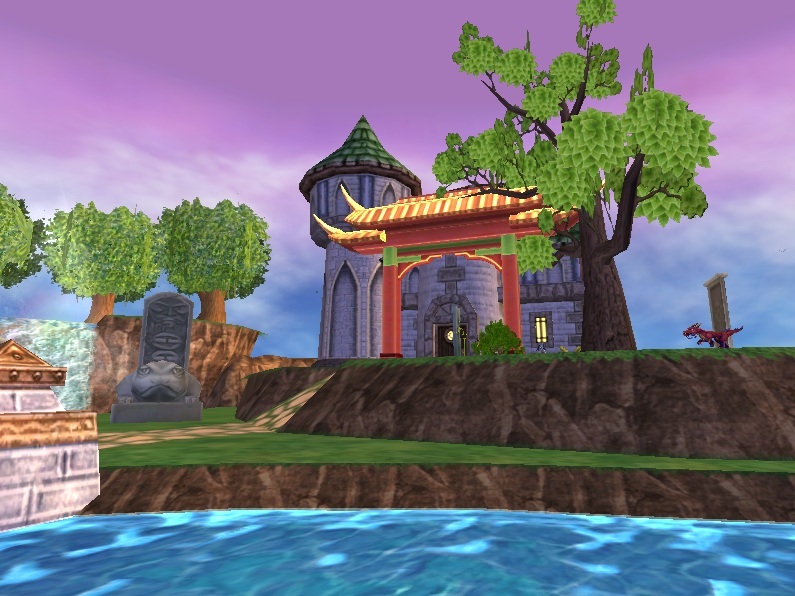 We land in a land of mystery and ninja pigs! Our first stop is a small village where you can see Foo dogs and the houses of the villagers. 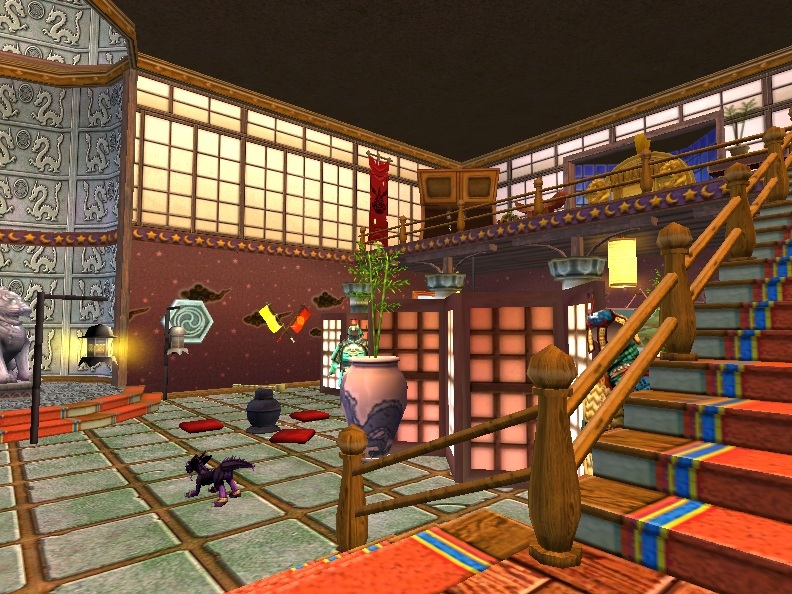 I took the smallest Wizard city house and transformed it into a Mooshu house by simply adding all items from the new Emperor's attic pack , along with a few pets such as; foo dogs, shenlong dragons , samoorai and goat monk. from to add to the Mooshu feel. 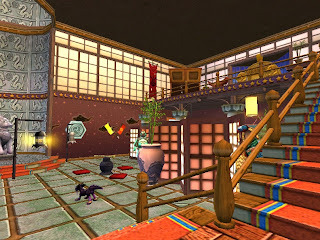 As we travel inside the house you can see that 3 Samoorai live here in this dojo style living. I used silk screens to give that separated room feel, along with paper and flooring to add to the feeling of Mooshu style housing. Each room with paintings ( I really love the branch painting though the moon painting is my favorite;) )and shelving for each of the Samoorai. 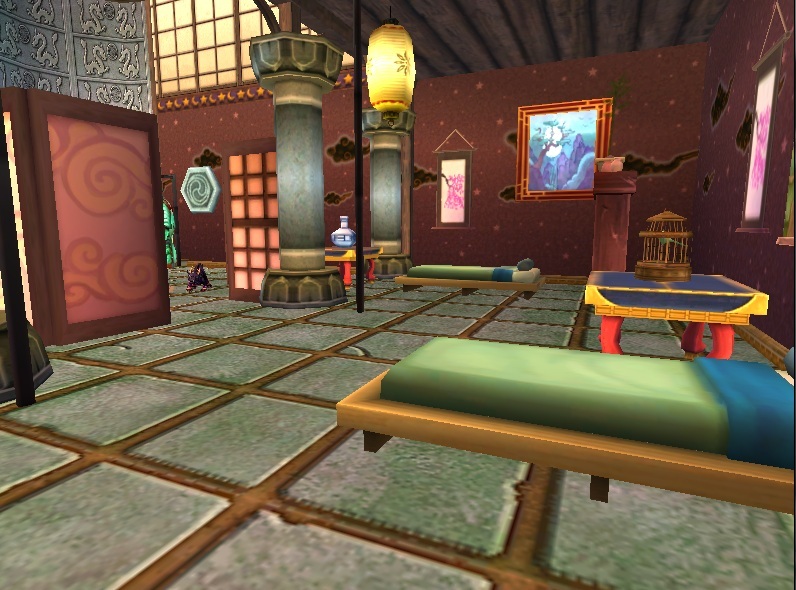 There is a ceremonial tea area so they can meditate and remember long battles they fought. 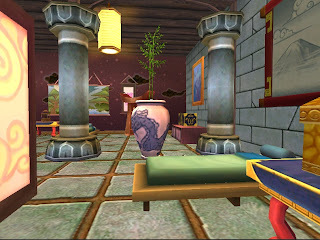 The upper room consist of battle flags and the Emperor's throne. off to the left side one long statue is placed to show honor. Thank you for visiting, until next time. Happy house decorating. Oh! I want to give a great big thank you to Johnny for my new banner. 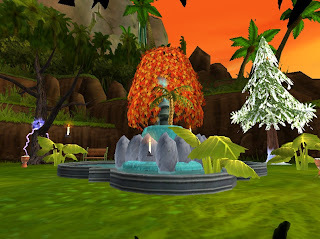 LOS ANGELES (April 25, 2012) –Today, KingsIsle Entertainment formally revealed the exciting online world of Pirate101. The new game delivers heart-pounding, swashbuckling excitement as players take the helm of their very own pirate ships and pursue a storyline of epic adventure filled with intrigue and mystery. 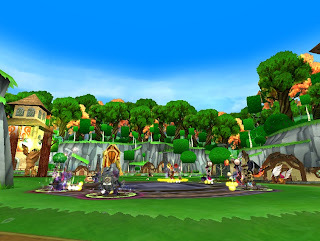 With approximately 14 million unique visitors to Wizard101.com each month, KingsIsle Entertainment’s hit game Wizard101 has grown to become the most popular online game for kids and families in the country. 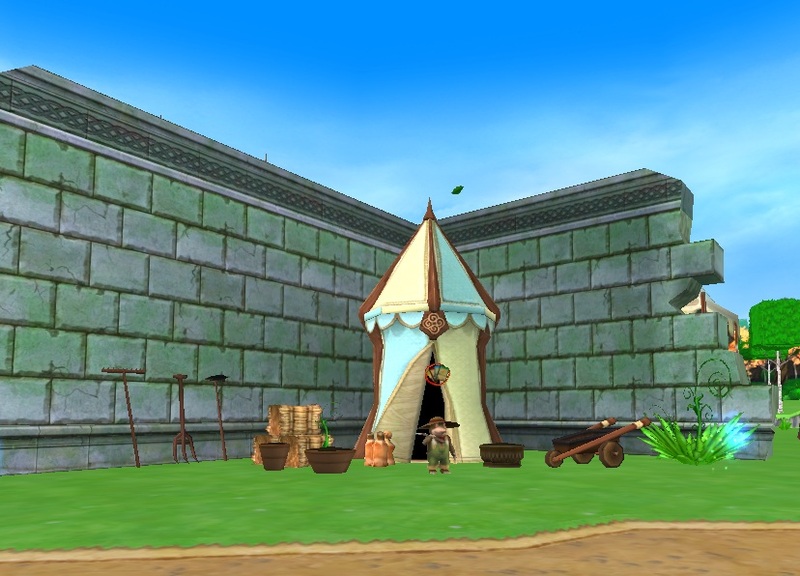 With the announcement of Pirate101, KingsIsle extends its leadership in the online family entertainment space by giving players a vast, pirate-inspired universe to explore; from breathtaking cloud-top skyways, to ancient ruins filled with lost treasure. "Pirate101's announcement is a seminal milestone for KingsIsle's already strong growth trajectory,” said Elie Akilian, Chairman and CEO of KingsIsle Entertainment. 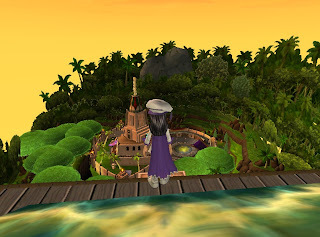 "We believe, based on early indications, Pirate101's appeal will further strengthen KingsIsle's leading position as the online family entertainment company. 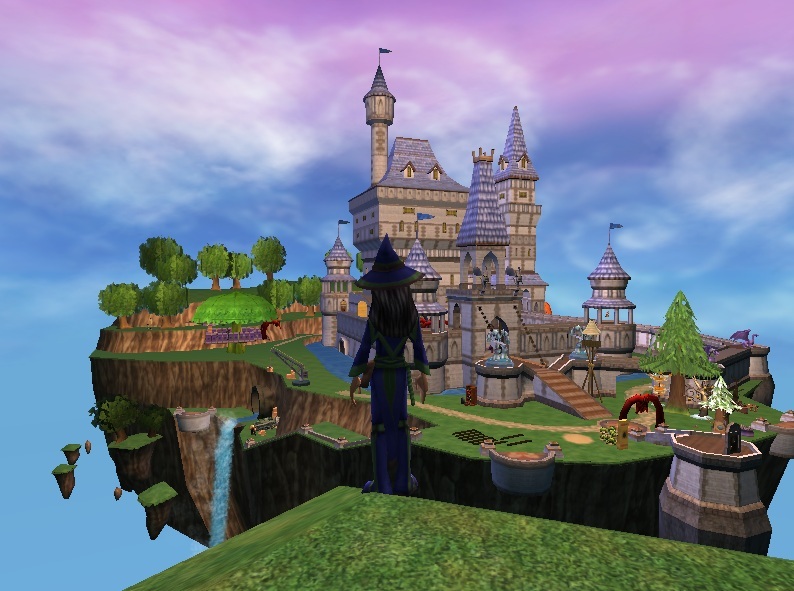 With the huge success of Wizard101, the introduction of Pirate101, and with multiple other projects already in progress, KingsIsle is a creative force poised for accelerated growth." 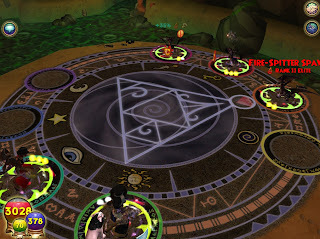 Encounter hundreds of whimsical, fully-voiced, characters in your quest to free the Spiral from the yoke of tyranny. Sharpen your blades and man t' canons! 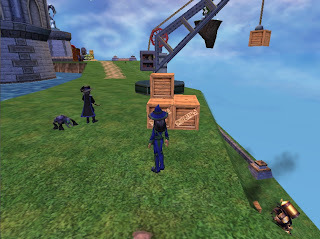 There be Pirate101! Ahoy! 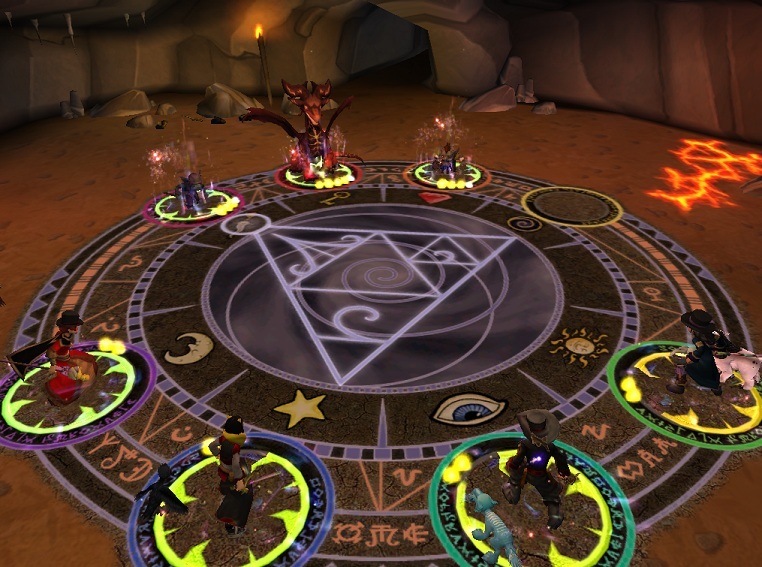 Wizards time to batten down the hatches and set sail through the spiral! 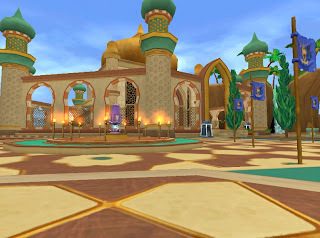 KingsIsle has been working on its second project for awhile and today has unveiled Pirate101 via Press release today in Los Angeles (April 25, 2012) at the DigitalKids conference. 8 new interact-able housing items including a Koi Pond!!!!!!!! 4 new plants including the Fortune Cookie Tree! By the way , Tag, you're it! I have some tag game codes to give away. Watch my twitter feed to find out how to win a tag game! @ PaigeMoonShade All tag game codes have been given out. Check out these fansites for more tag game giveaways. 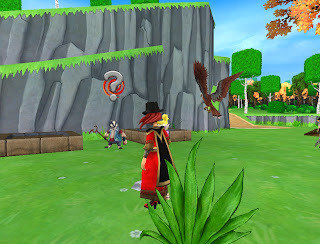 Thank you KingsIsle for this interactive game and the ability to give a few away. 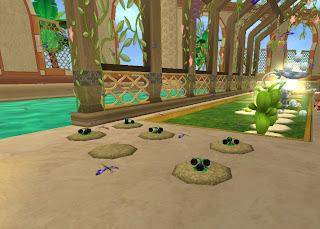 Where gardener is in Abbey road after quests are completed. 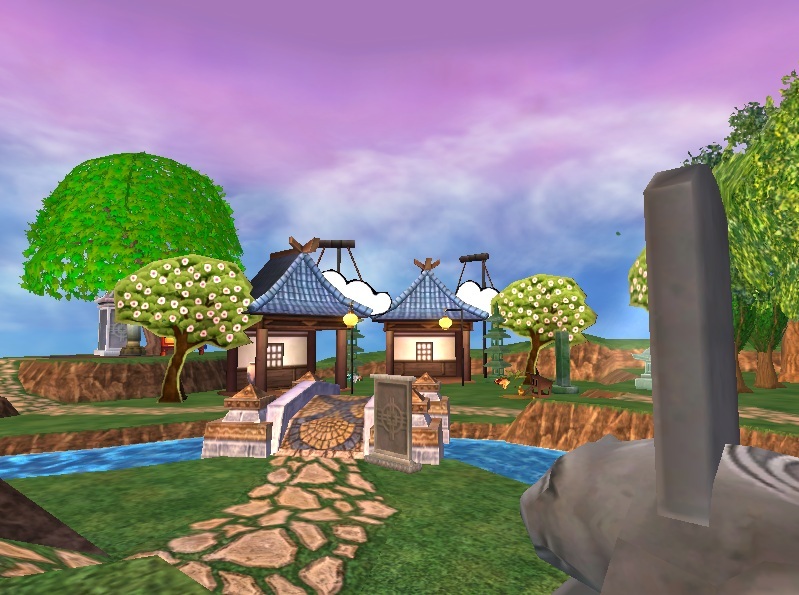 You must complete the quest "Sumner's Tale" in Caliburn AND "Between Two Shrubs" in Dun Dara before Roger the Shrubber will appear. 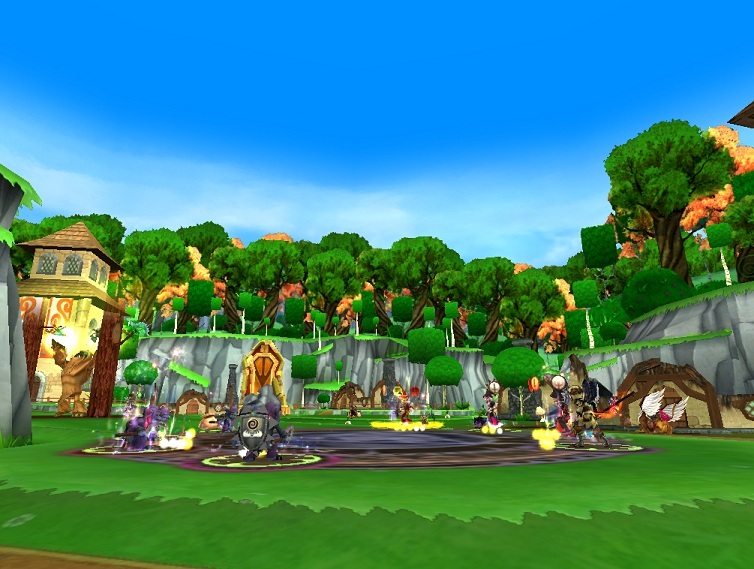 Gardening in Avalon! You are now able to rank up to level 15 with all new gardening spells! 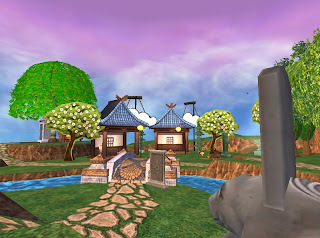 The quest begins in Caliburn from the quest giver Summer FliedGoals. He sends you on a variety of interesting quests from collecting grain and hedges to talking with other quest givers such as Sir Perry Gillam, who will have you battling some really cool Fire-Spitter Spawn dragons ( Say that 3 times fast) . Once you are in Dun Dara you will meet the gardener at the garden of silver roses, It is a such a beautiful garden too I would love it in a house. 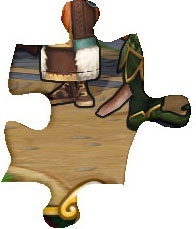 Once you complete his quest you will be able to find him in Abbey Road. 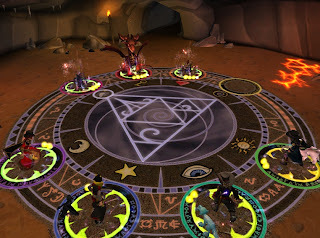 Then you will be able to train the new spells. 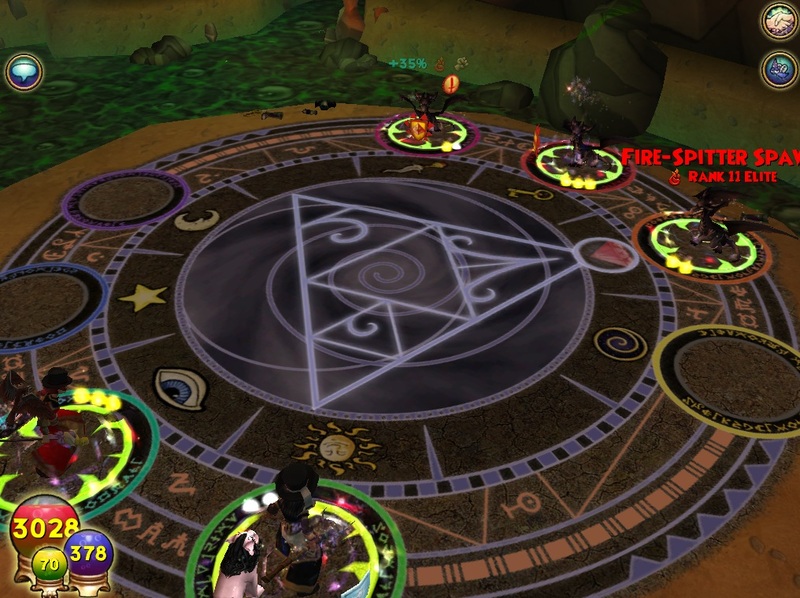 Spells include; Putrid Bug Spray, Rank 10, Miniature Bloodbats Rank 12 and Second Spring rank 15. 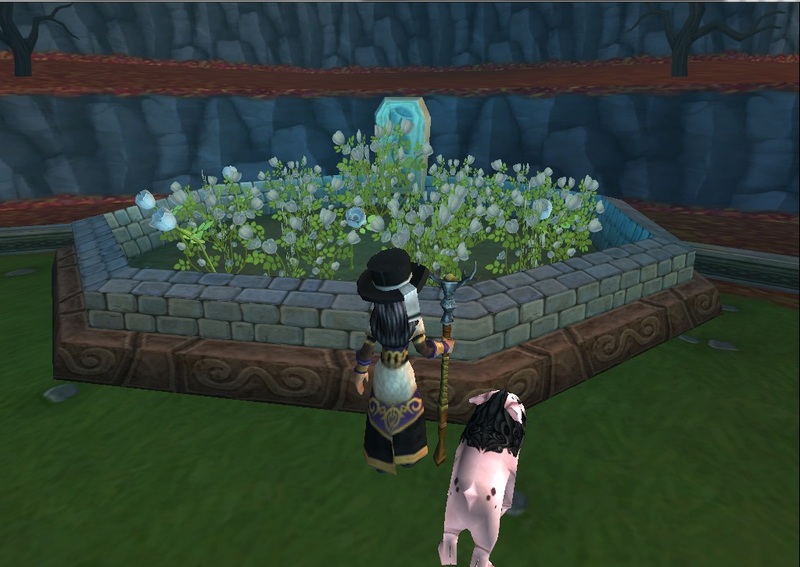 I am going to have so much fun with Second Spring this spell makes your elder plants look like they are at mature stage for ever, or until you harvest them. We also get some very cute new plants; Angora BunnyEars and a variety of colored HuckleBerries. The Angora BunnyEars are a cute very shy plant when it does it's animation it hides it ears. The HuckleBerries very cute! and animation they spin into the ground. So far the only likes i have found are the ones listed on seed description. I will show images of these the plants below this segment ( thank you Anna for letting me take screen shots of the mature stages). 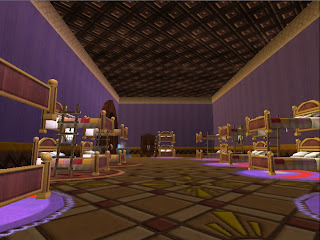 Also I have a topic over at Wizard101 central of furniture I would love to have from Avalon test realm. Post at wizard101 Central Until next time, happy house decorating. 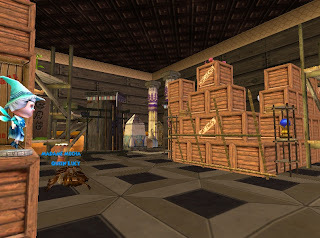 Luke Skywalker's maze of houses was a joy to see even though I have the worst trouble getting through mazes. 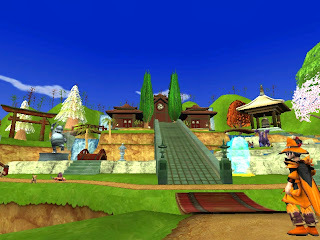 When I started off I was going through the maze of tree tops, I got lost so many times. 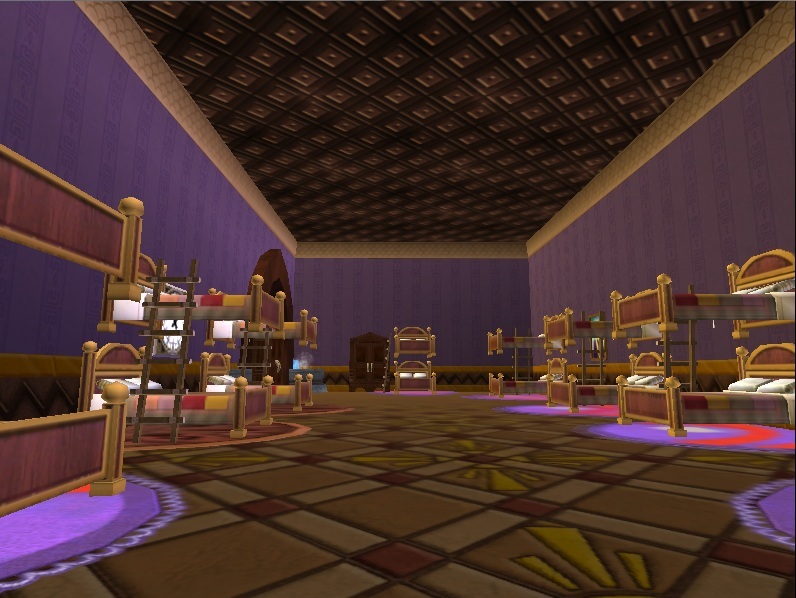 ;) There were 3 houses to this maze; Massive Fantasy Palace, Storm school and the Desert Oasis. Going from one house to another each having a different kind of maze. I really like this bottle maze in the Desert Oasis the best. At the end of the tour we headed back to the Massive Fantasy Palace to view an really cool tree house he has built in his back yard. What really caught my eye through this whole tour was his amazing jellybean mine. 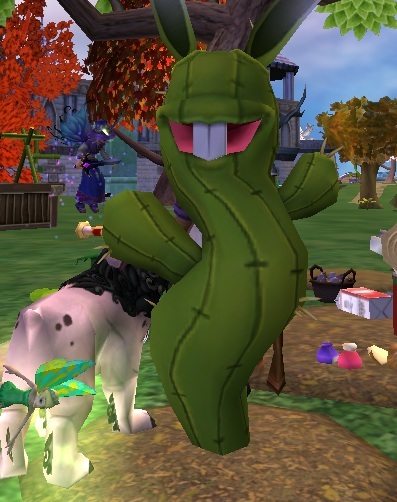 He has a Marleybone Driller mining out the side of the hill to get all the jellybeans. There is a robot there creating all those precious jellybeans and at the top of the cliff is a crane bringing all those creates to the top to be stored away. Thank you for letting me tour your maze of houses Luke, simply wonderful. Until next time, happy house decorating. 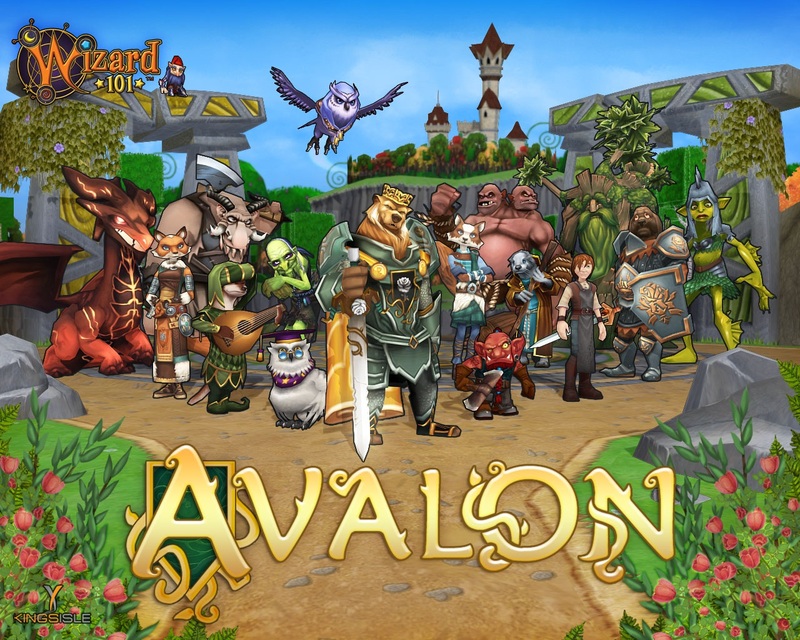 Avalon is amazing looking and beautiful. I heard that statement from almost everyone in test realm yesterday. You could tell KingsIsle took time and care for all the details in this new world. 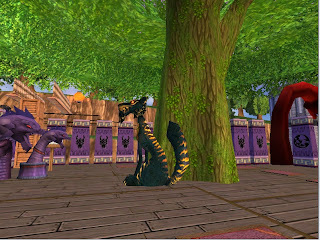 As always when test realm opens the masses emerge from every where friends that I had not seen in a while were all there. 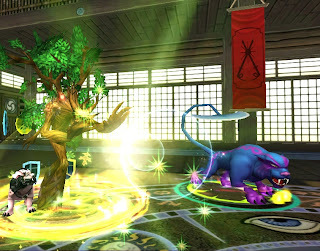 New henchmen were fantastic looking, there is this one kitty I really want for a pet. *New Utility Spells for All Schools! 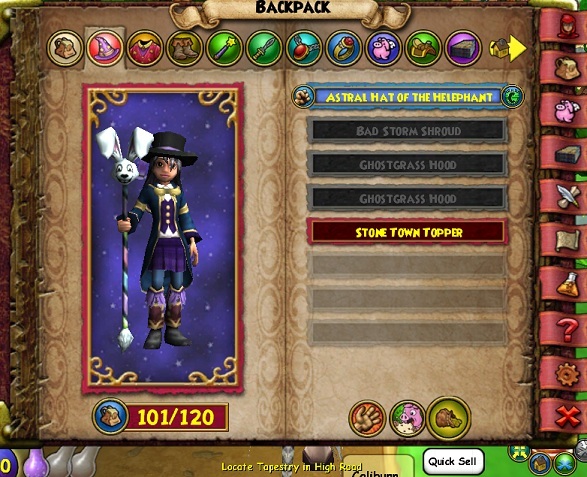 *Wizards can now achieve Level 80! 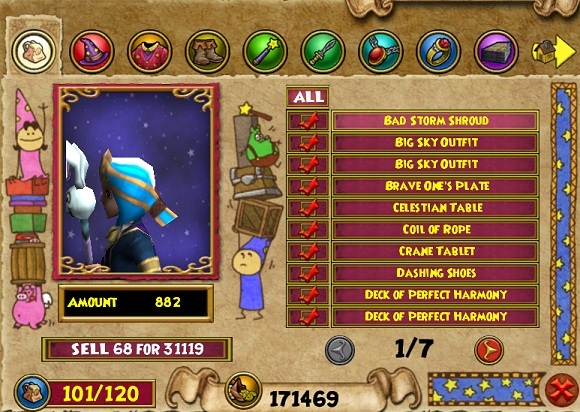 *New Level 78 Pet Quests! 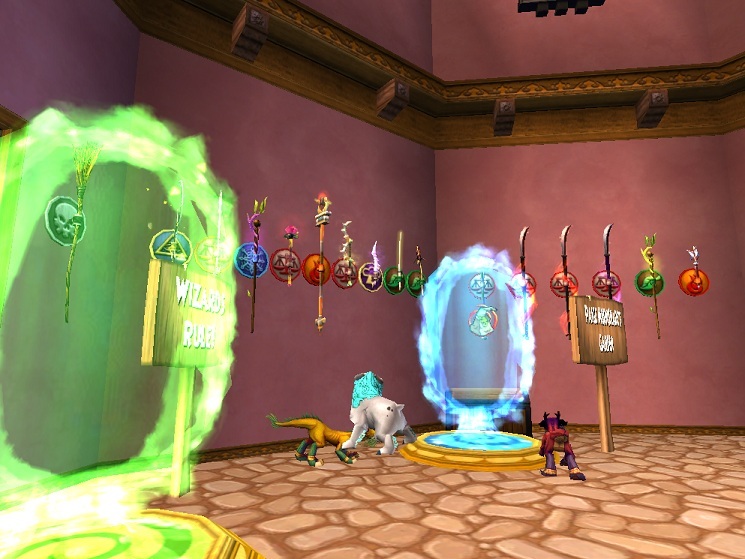 Display your wands!!! You may have all of the same type of wand or all kinds , You can now display your collections of wands!! 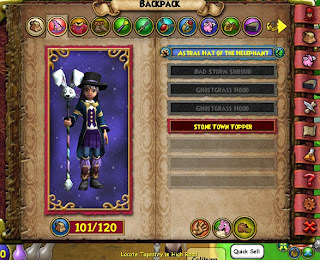 All wand can be found in the wall hanging section of inventory as you decorate your house. *Banks now have enforced quantity limits. Your bank is now limited to 100 items or less. If you currently have more than 100 items in your bank, you will be unable to place more into your bank. You must sell, delete or feed these items to your pets. Quick sell is easy to use go to your back pack click on the quick sell , this takes you to a new page. I click all (in each category) then go through a uncheck anything I do not want to sell at that time. If you click all on without going to each category you will sell everything including furniture. So far I am loving this update . 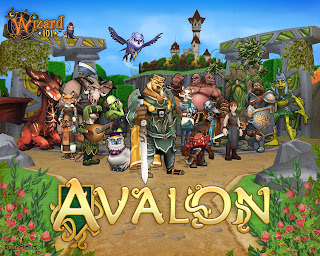 I will post more when I continue through Avalon! Thank you for allowing me to view your amazing house Gabriel, I had a wonderful time. Oh and that Professor Greyrose bobble head really wanted to come home with me. ;) So until next time, happy house decorating. This months showcases will be those all so famous glitching decorating style. 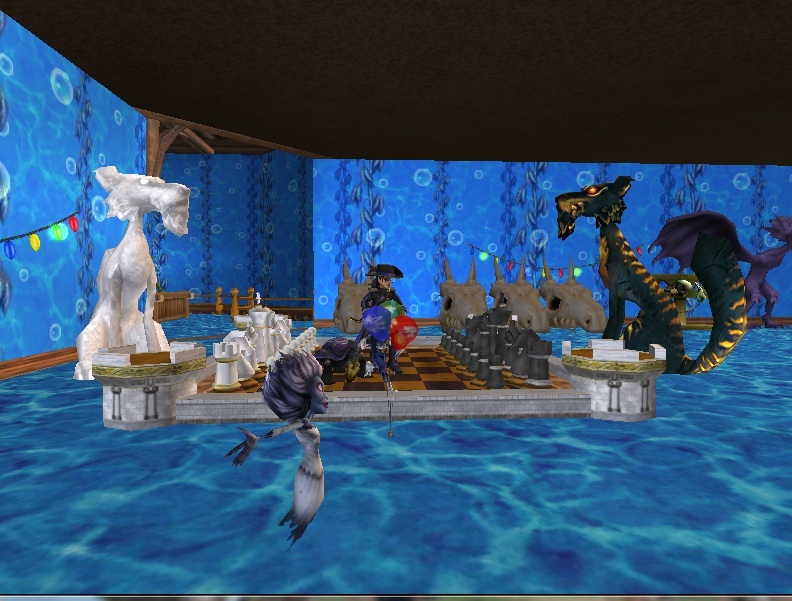 From mazes to fancy decorating to make old items look new in a different way. I want to showcase your house. Show me your house and I will showcase it right here. You can also find me at Wizard101Central , Twitter @PaigeMoonShade or you can email me with the email on the right side. ( Please make sure you have you parents/guardians permission though) . 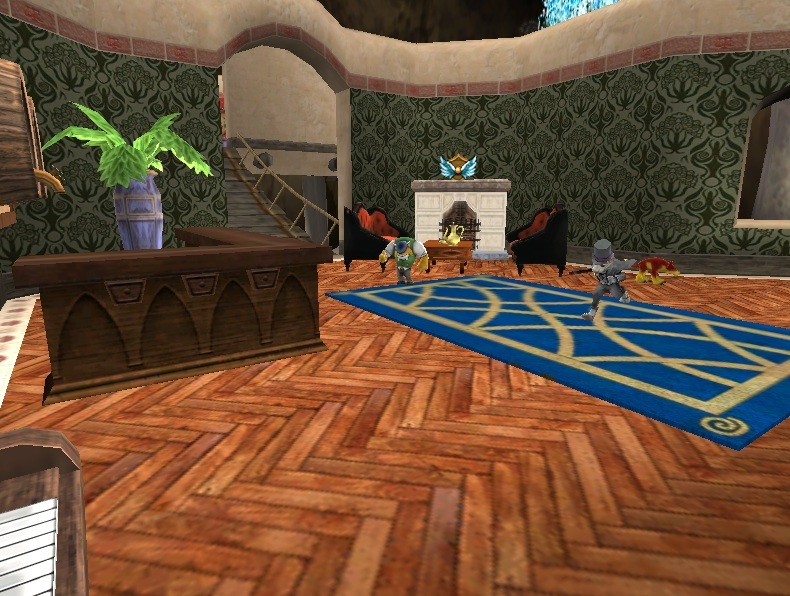 So go decorate those houses and show me and all the wizards of the spiral how much fun decorating can be .